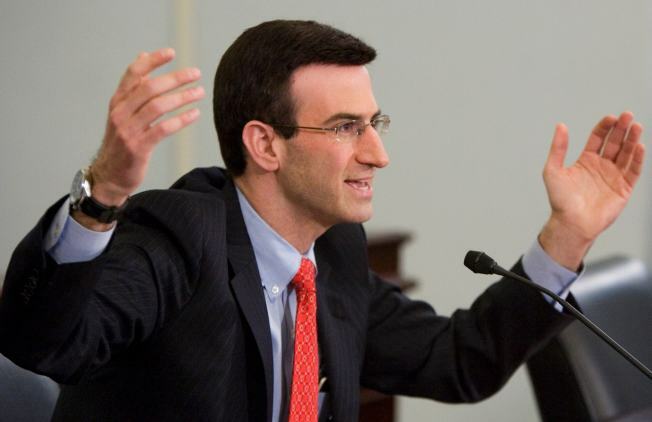 Budget Director Peter Orszag will appear on "Face the Nation" and "State of the Union" on Sunday. With the $410 billion omnibus spending bill hung up in the Senate, White House Budget Director Peter Orszag and key Senate players are on this Sunday’s talk show circuit. On NBC’s “Meet the Press,” Sen. Charles Schumer (D-N.Y.) takes on Sen. Lindsey Graham (R-S.C.) in the wake of the Republicans successful attempt to hem up the omnibus. ABC’s “This Week” also has top budget operators, with Democratic Sens. Claire McCaskill of Missouri and Evan Bayh of Indiana and Republican Sen. Richard Shelby of Alabama and Thomas Donahue, president of the U.S. Chamber of Commerce. On Bloomberg’s “Political Capital,” Senate Foreign Relations Chairman John F. Kerry (D-Mass.) sits down with host Al Hunt to discuss the international challenges facing the Obama administration. Finally, PhRMA president and CEO Billy Tauzin is on C-SPAN’S “Newsmakers” where he’ll offer pharmaceutical industry’s take on President Barack Obama’s health care summit to The Hill’s Jeffrey Young and Congressional Quarterly’s Drew Armstrong.